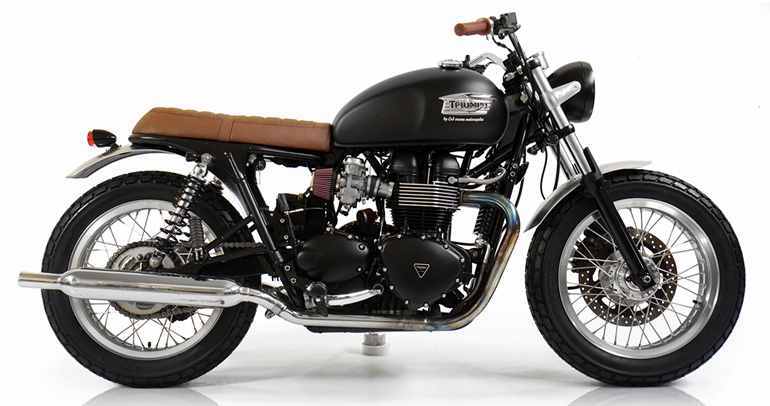 For CRD24 Cafe Racer a Triumph Boneville appeared again on our list. Javier wanted to change to something elegant but without having to change the exhaust pipes nor use the Firestone Deluxe tires that are so recurrent in this type of modifications. As always, less is more. We made many changes and new details that at first sight go unnoticed but that together vary greatly the appearance of the bike. The painting of the tank is made in matt black and also has a wider handlebar which greatly improves the posture, making driving much more comfortable and pleasant. 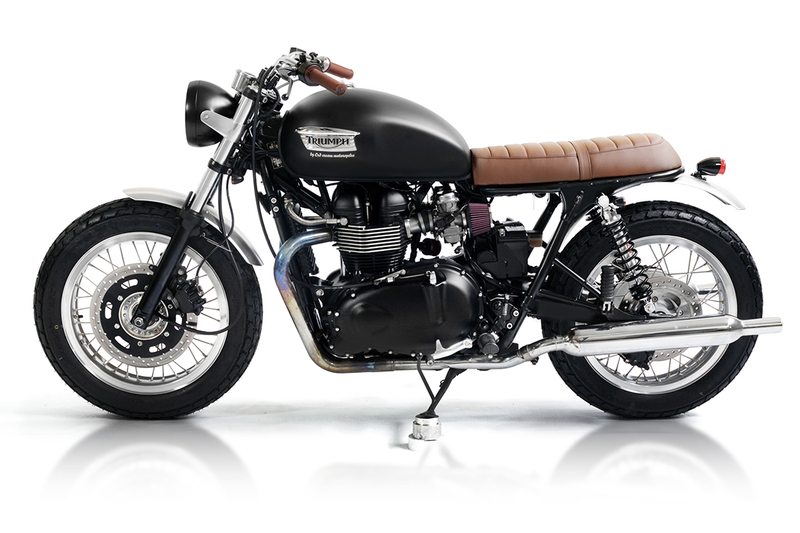 Please click here if you would like to watch other Triumphs created by the Cafe Racer Dreams team.